Xbox head Phil Spencer had some big news at E3 2018 for Xbox's exclusive content offerings; Microsoft has acquired five studios to join Microsoft Studios and develop new content. Spencer said Xbox was looking for creative teams and investing in more great content, and this is a sure sign of it. He announced a new studio, The Initiative, to be led by Darrell Gallagher. He comes from Crystal Dynamics where he worked on the recent Tomb Raider franchise reboot. Microsoft has also acquired Undead Labs, Playground Games, Ninja Theory, and Compulsion Games. Undead Labs is known for the State of Decay franchise. Playground Games makes the Forza Horizon series, and Spencer said the studio would be bringing its open-world expertise to an entirely new project. 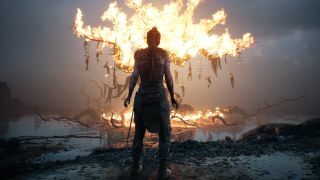 Ninja Theory made the impressively cinematic Hellblade: Senua's Sacrifice. And, Compulsion Games is behind the dystopian We Happy Few. For Xbox gamers, this is likely going to mean plenty of new titles coming exclusively to Xbox or Microsoft Platforms. And, for fans of these studios, the monetary support from Microsoft should help them put out some great new content. Spencer even said the studios would have "creative independence," which should help ease any worries that Microsoft could spoil these studios. E3 is the world's largest exhibition for the games industry, stuffed full of the latest and greatest games and gaming hardware. TechRadar will be reporting live from Los Angeles all week to bring you the very latest from the show floor. Head to our dedicated E3 2018 hub to see all the latest news from the show.